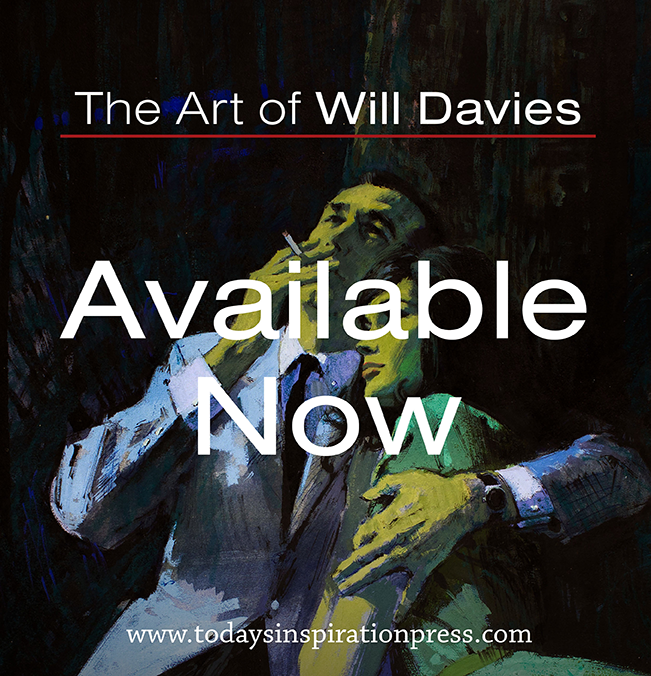 Today's Inspiration: "Wholesome" ...or "Delicious"? What kind of girl do you prefer: 'wholesome'... or 'delicious'? 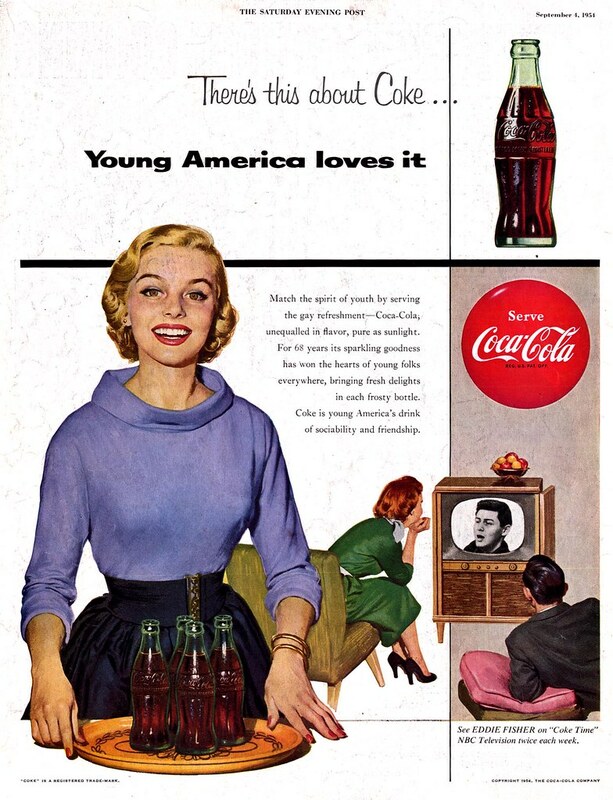 For the better part of the decade, Coke chose to focus on the wholesome, small town, all-American girl-next-door image. Coke must be good for you, right? Look, even nurses are serving it! 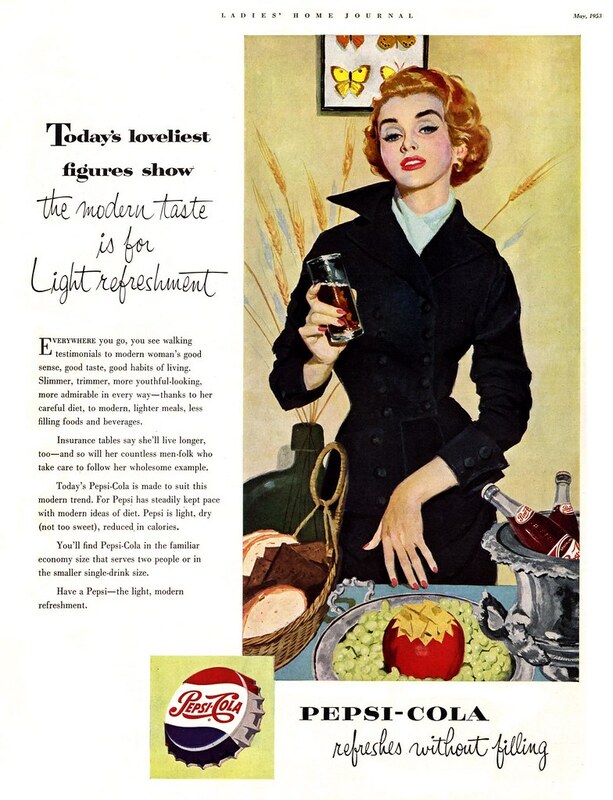 But ladies, "calorie-reduced" Pepsi was part of your healthy, modern lifestyle too -- so you'd look smashingly slim in the latest fashions as much as so you'd get a better rate on your life insurance! 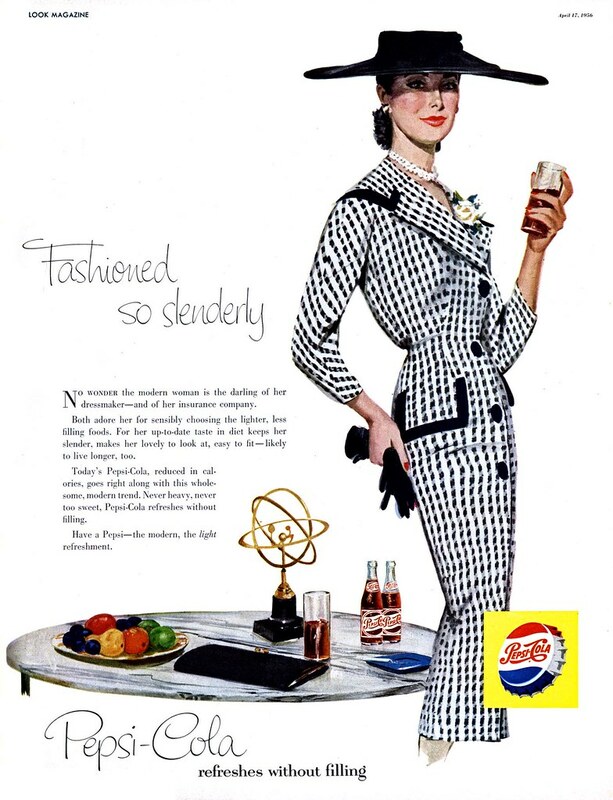 ... the carefree, stylish Pepsi Girl was heading out for a romantic night on the town. 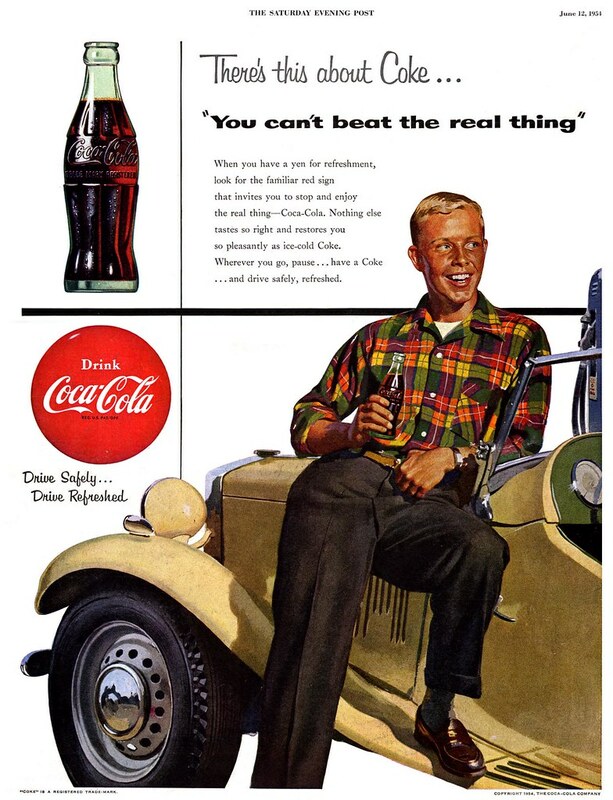 As for ads featuring guys, well, I don't think Pepsi even ran any ads featuring just guys. 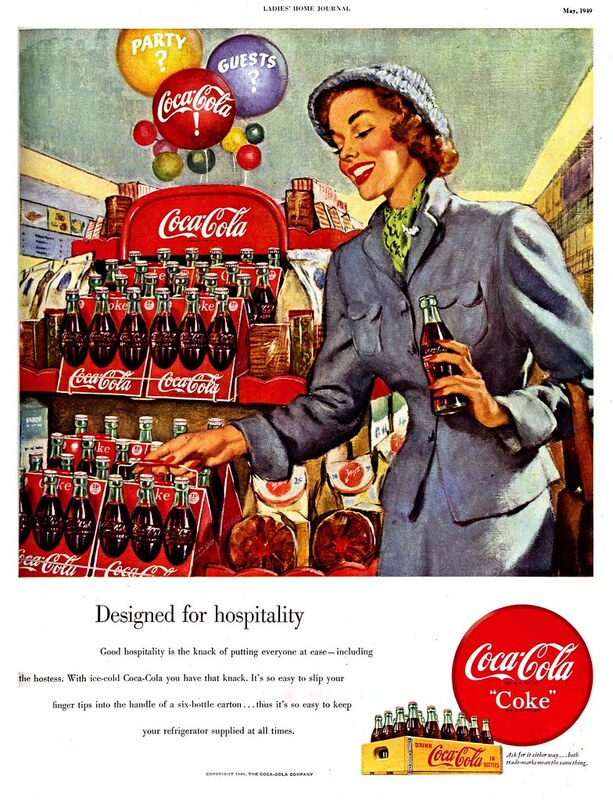 While both brands seem to have felt that women were their target market, Coke at least made an effort to engage the other half of the population. 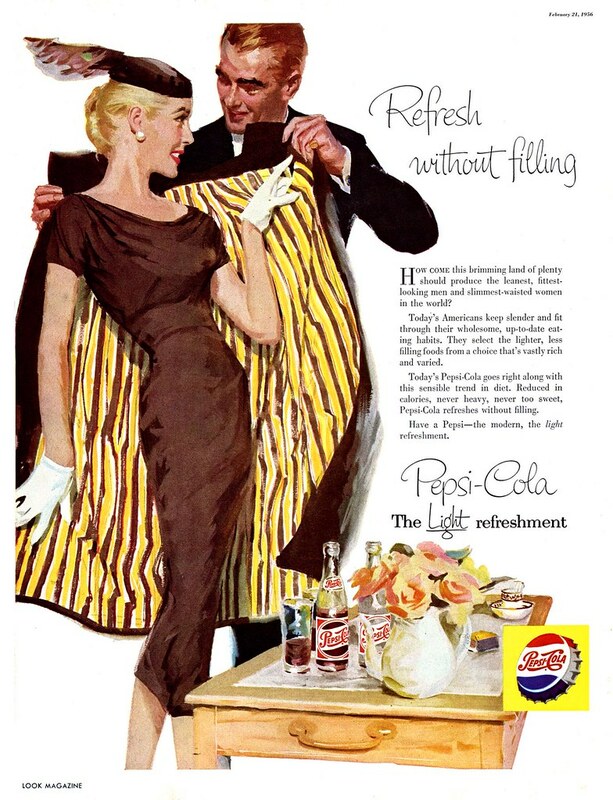 For the Pepsi Girl, men were no more than a prop... a fashion accessory. After all, the modern woman, "the darling of her dress-maker", had "countless men-folk" to pick and choose from. All of today's images have been added to my Beverages Flickr set. Man,,,,The pepsi girls look trampy, loose and the kind your Momma would not approve of. The Coke girls are wholsome,pretty and look to have a ladies dispositon. Great post this week, Leif. 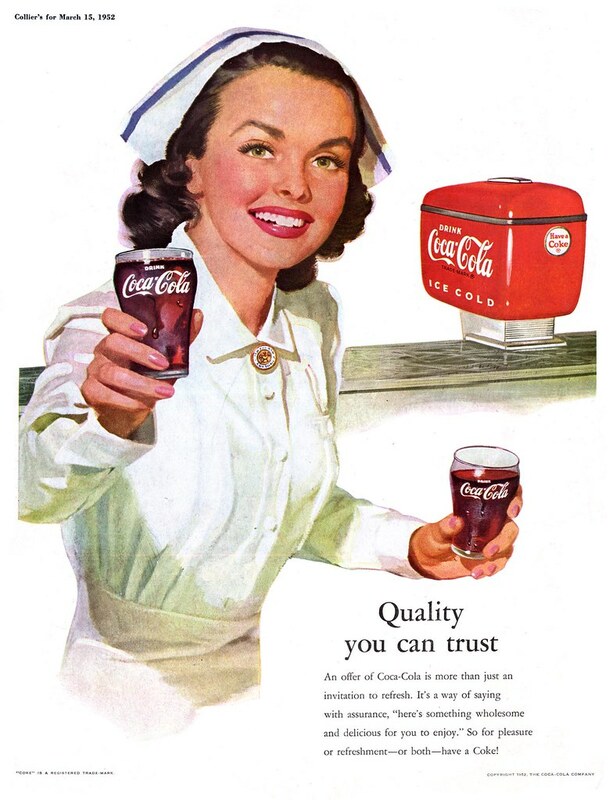 I'm pretty sure Joan Crawford was on the management board of Pepsi during the time those 'sociables' ads ran, which no doubt had a big impact on the appearance of those illustrations -- most of which were done by Cooper Studio artists. 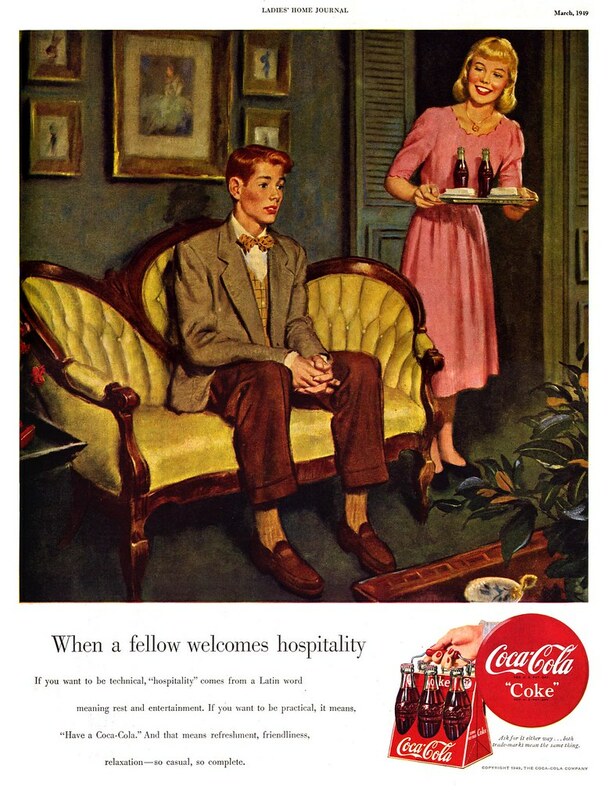 "Coke must be good for you, right? Look, even nurses are serving it!" Ouch! I can feel the cavities forming as we speak! Coke is definitely not "winning" here.